How To Buy The Best Reusable Nappies - Which? We talk you through whether reusable nappies are better and cheaper than disposable ones, as well as how to choose and wash reusable nappies. Reusable nappies – also known as washable nappies, cloth nappies or real nappies – have evolved significantly in the past decade and are a popular choice for eco-conscious parents. Reusable nappies come in a vast range of colours and fabrics. They often look like disposables, and can be just as easy to put on and take off again. 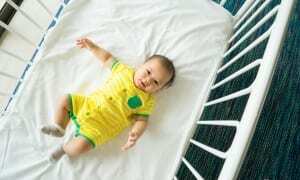 Are reusable nappies cheaper than disposable? Babies use around six to 12 nappies a day in the first few months, and don't potty train until at least 18 months old, and sometimes not until they're three. Reusable nappies work out cheaper than disposables, especially if you use traditional terry nappies rather than the modern, fitted equivalent. You'll be paying more initially – you'll need around 16-24 nappies in total – but the costs will be lower overall. The Go Real nappy information service estimates that it costs around £80 (based on the cheapest brand of reusable nappies) to kit out your baby with a basic set of reusable nappies, plus around £1 a week to wash them. Savings will be even greater if the nappies are used for a second child. Even if you use a cheap brand of disposable nappies, you'd spend around £38 for just the first few months. This would really add up by the time your child is potty trained. 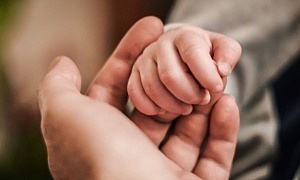 In addition, many councils also offer real-nappy incentives in the form of cash back, free samples or vouchers, giving you the chance to try reusable nappies for a discounted price or free of charge. Contact your local authority for details of a scheme near you. Find out which reusable nappies parents rate top in our best reusable nappy brands. If you're not a Which? member, you can sign up for a Which? trial to access these and our thousands of other independent reviews. How long do reusable nappies last? Cloth nappies can be reused again and again. In fact, you can use reusable nappies again for subsequent children. Most are designed for use with at least two babies. Some people pass on their reusable nappies too, so they can be bought second-hand (known as 'born-again' nappies). This is another way to cut costs and lessen the environmental impact of nappies. Are cloth nappies better than disposable ones? Both types of nappies have pros and cons. The main disadvantage with reusable nappies is that you have to wash them, while disposable ones can simply be thrown away. Cleaning and drying reusable nappies can also potentially use lots of energy and water. In addition, reusable nappies can be less absorbent than disposable nappies, so you may need to change them more often. However, many types have a removable inner layer so that you don't have to wash the whole nappy each time. Despite these cons, cloth nappies could still be a good option. They cost less in the long run and are especially good if you're conscious of the environmental impact of disposable nappies. Are reusable nappies more environmentally-friendly? One of the reasons parents generally choose reusable nappies is because they worry about the environmental impact of throwing away disposable nappies. Disposable nappies can take 200-500 years to decompose and by the time a child is two, they could have used more than 5,000 nappies. But critics of reusable nappies have always argued that reusables are no better for the environment because of all the washing that is required. The most recent report published by the Environment Agency into this dilemma was in 2008. It found that reusable nappies can be 40% better for the environment than disposable nappies – but only when parents take sensible steps to reduce the environmental impact of cleaning and drying them. Modern reusable nappies don't require soaking, and can be washed in the washing machine at home, or picked up by a nappy laundry service. You can keep a bin dedicated to dirty nappies so that you can wash a load together in one go, saving you money on washing machine costs. To limit the cost of washing nappies further, we'd suggest investing in an energy-efficient washing machine - you can find the best in our washing machine reviews. There's no need to wash at 90°C either, you can wash a lower temperatures. But if you're washing at 60°C, you need to combine the wash with a good detergent to blast that bacteria, as the temperature alone won't kill some bacterial spores and viruses. Find out which laundry detergents score top in our tests in our washing powder reviews. 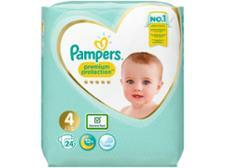 Nappies that have only been wet can be washed at even lower temperatures. Wherever possible, line-dry reusable nappies rather than relying on the tumble dryer, as this will also cut costs and the environmental impact. If you have to tumble dry, make sure you're using an energy-efficient model. There is a growing number of locally run nappy-washing services that will collect, launder and return your reusable nappies, at a price. Nappy-laundering services cost from around £10 to £15 a week. They provide weekly deliveries of fresh nappies and a storage bin, and collect dirty nappies from the week before. If you like the idea of using reusable nappies but want to reduce the effort involved, you could consider signing up to one of these services. Reusable nappies come with either a biodegradable middle, which can be flushed or thrown away, or a washable liner. This is then covered by a waterproof outer layer (sometimes called a wrap) that holds it all together. 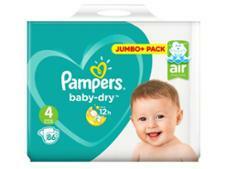 All-in-one nappies – with these, the inner and outer layers are sewn together, making them one piece. Pocket nappies - these have two outside layers, into which the liner is inserted. Some come with liners included, while with others you'll need to buy them separately. Shaped nappies - similar to disposable nappies, these are shaped to a baby's body, with an elasticated waist and legs, and can be fastened with Velcro or poppers. Flat or pre-fold nappies – these are essentially just rectangular pieces of fabric. You can get them pre-folded and stitched, or with flat ones, you'll need to fold them yourself and fasten with a pin. These are the cheapest type of reusable nappies. Reusable nappies either come in one size or sized. One-size reusable nappies can be adjusted as your baby grows, and are called 'birth to potty' systems. Sized nappies come in different sizes, so you'll need to buy different nappies as your baby grows, much like with disposable nappies. Reusable nappies also come in different types of fabric. The inner middle/liner come in cotton (organic or normal), bamboo, hemp or microfibre. The wraps are generally made of fleece, wool, PUL (a type of laminated fabric) or waterproof plastic. We'd suggest buying a few reusable nappies before you buy in bulk. This means you can see how you find using reusables and check whether your baby is comfortable with the type and fabric you've chosen. A number of cloth nappy companies offer trials or the option to buy just a few at once. Which cloth nappies are best? There are a lot of reusable nappy brands available, including Bambino Mio, FuzziBunz, Bumgenius and Little Lamb. So to help you choose the best, we've surveyed 1,448 UK parents (2013) asking them to rate the absorbancy, fit, comfort, ease of use and value for money of the reusable nappy brand they use. Our results revealed a big difference between the top and bottom-rated brands - the best got a customer satisfaction score of 67%, while the bottom brand received just 50%. Visit our page on the best reusable nappy brands to find out which was rated most highly, and which failed to impress.